Today sees Olympus introduce the new premium STYLUS 1. Billed as a high quality compact that combines D-SLR shooting style the STYLUS 1 is the first compact to offer a high quality sensor, manual control and a wide zoom range whilst still remaining genuinely compact. As you would expect from Olympus, excellent quality across the board was a priority for the engineers in Tokyo. From the outset the STYLUS 1 has been designed to be a slim, pocket sized camera suitable for any occasion, whilst still offering the user the manual control, viewfinder and picture quality you would normally associate with a larger camera. Whether you’re a die-hard compact enthusiast looking for a little more from your everyday carry companion, or a D-SLR owner looking for something a touch more portable than your existing rig, the STYLUS 1 is aimed squarely at your requirements. Packing a 1/1.7 inch BSI CMOS sensor, the spec list of the STYLUS 1 also includes an ultra-slim f/2.8 10.7X (28-300mm) i.Zuiko Digital lens, TruePic V1 image-processor, a premium high-definition electronic viewfinder with fast AF and shoot-and-share rounding up a truly tempting semi-pro package. 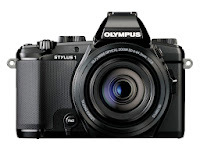 With a look and feel reminiscent of the original 35mm OM-D range as well as the OM-D E-M1 and the OM-D E-M5, the STYLUS 1 has an air of familiarity about it whilst boasting a case depth of just 52mm. Despite such slender proportions the STYLUS 1 features a brand new 28-300mm high power i.Zuiko Digital lens designed to work seamlessly with the BSI CMOS sensor and TruePic V1 image processor, offering a constant f/2.8 aperture from wide to telephoto shots, with a powerful 10.7x optical zoom to complete the picture. 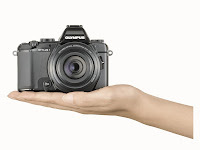 The 1.44 million dot electronic viewfinder, near instant Fast AF assist with accurate and professional framing in combination with precision focusing using the touch screen, whilst the built in WIFI offers real-time smartphone access, all features again proven on the existing OM-D range. The Hybrid Control Ring that has proved successful on the Olympus XZ series has been brought in to control (digitally, or manually) the key settings. For the STYLUS 1 lens Olympus have developed a truly stunning piece of optical excellence, an ultra slim ‘full-range’ constant aperture f/2.8 10.7x (28-300mm) high power i.Zuiko Digital lens versatile enough to shoot anything from wide angle shots to telephoto shots. Featuring built in VCM image stabilization to virtually eliminate lens shake or blur the lens can also deliver near D-SLR levels of bokeh with deliberate defocusing. The STYLUS 1 lens’ party piece becomes only apparent when the lens is actually not being used, retracting neatly into the body, allowing the STYLUS 1 to be discretely pocketed when not in use, something none of its rivals can claim. Reflecting the lens’ image quality, the viewfinder is a similarly satisfying to use. In a stand out feature for a compact the STYLUS 1 features an electronic viewfinder, in fact the very same high definition, fast response EVF as the one fitted to the O-MD E-M5, something that would shame most entry level D-SLR style cameras on the market. A level gauge, 1.44 million dots and shadow highlighting make shot and pre-shot setting selection a pleasure. Accurate reproduction of dark and light parts of the scene are ensured by the automatic backlight control whilst the STYLUS 1 automatically detects when your eye is placed behind the viewfinder and shuts off Live View on the tilting LCD screen. 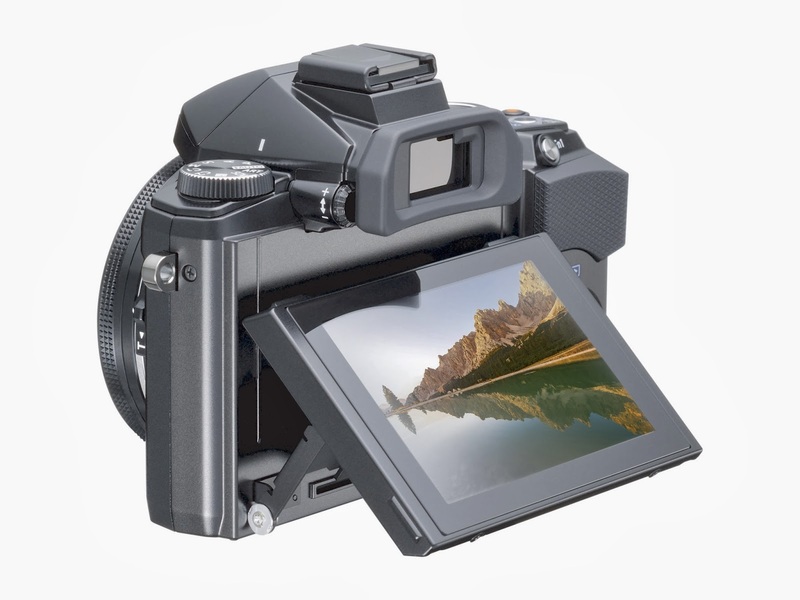 Despite measuring in at a diminutive 116mm x 87mm x 56.5mm the STYLUS 1 still looks every inch the professional camera, whilst being less than half the depth of several of its bulkier rivals. The front grip makes the retro black design easier to hold leaving you free to concentrate on your shot, intelligent layout of the controls makes the camera easier to use, allowing you to operate the Hybrid Control Ring and zoom lever with your left hand, whilst operating the shutter release with your right hand. Seamlessly blending traditional hands on controls with intuitive features such as finger triggered Fast AF via the adjustable LCD along with the customizable analogue/digital Hybrid Control Ring allows you to adjust the parameters most used (for instance aperture, shutter speed and exposure time), without having to take your eye off the subject. With the Hybrid Control Ring in its analogue setting the ring turns smoothly for focusing and zooming, whilst in digital mode you can assign functions to a single menu clicking through it using the Fn2 button. Connectivity is key, and the STYLUS 1 doesn’t miss any tricks in this department. Built in WiFi combined with Olympus’ OI.Share software allows your smartphone to become a portal for image sharing. Pairing is simple, one touch on the WiFi field of the camera display brings up a QR code, simply scan this with your phone before opening up the app. From here the camera’s LCD is effectively mirrored on your phone screen, allowing you to focus and release the shutter remotely via WiFi (in P, A, S and M modes) using your phones touch screen. A range of accessories for the STYLUS 1 are available at launch including; an eye cup for the electric view finder, a full body jacket to protect the camera from damage and a 1.7x teleconverter lens, extending the focal length to 510mm, ideal for shooting distant subjects or wildlife unobserved. The STYLUS 1 is priced at £549.99 in classic black, with the first examples expected to arrive at Park Cameras around late November, if you want to be one of the first to get your hands on the STYLUS 1 you can pre-order yours here. For our opening times and directions to the store, visit parkcameras.com.